The mother of a 5-month-old baby boy was arrested on homicide charges after throwing the infant against a wall, according to Bronx police. Joann McLeod, 30, reported her son as unresponsive to emergency services on June 4 around 10 in the morning. Raymond Profil Jr was pronounced dead at the nearby St. Barnabas Hospital and police are ruling his death as a homicide, the medical examiner will determine the exact cause of death. His mother admitted to throwing him against a wall and delaying getting him proper medical attention because she was “afraid of going to jail,” in a statement given to police. 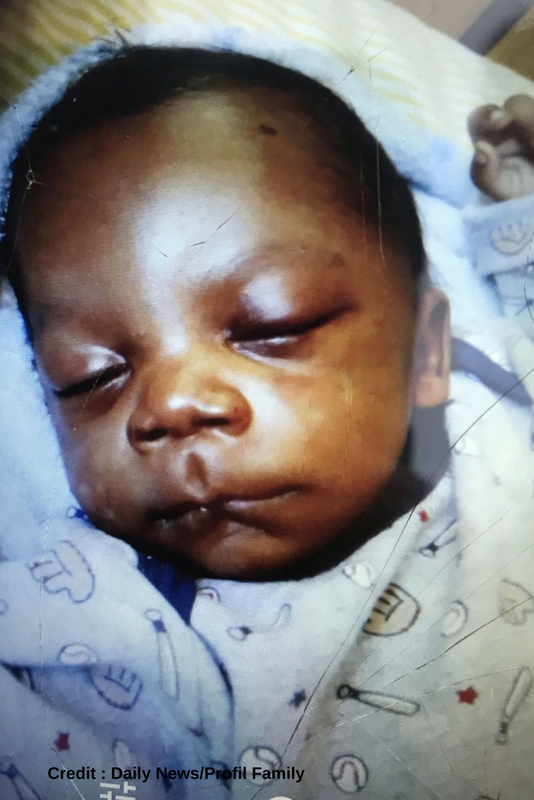 This was McLeod’s forth child, the previous three children were taken away from her custody by New York City’s Administration for Children’s Services, according to the babies father, Raymond Porfil Sr. The infants father lived with the boys mother at one time, but had left a year prior to enroll in a residential rehabilitation program. Neighbors acknowledged people were known to come and go from McLeod’s 13th floor apartment at the Bronx River Houses on Bronx River Ave.
Porfil mentioned McLeod struggled with bipolar tendencies. “If I wasn’t there, she would hit him. He had a black eye and a bruised mouth. I wanted to hit her, but I didn’t want to go to jail. I don’t hit women,” he said. McLeod has since been placed under suicide watch while she awaits further court appearances in county jail.